YUP, PRESIDENT BARACK OBAMA IS ALL ABOUT THE MIDDLE CLASS … THE PHONY WORKING CLASS PRESIDENT. 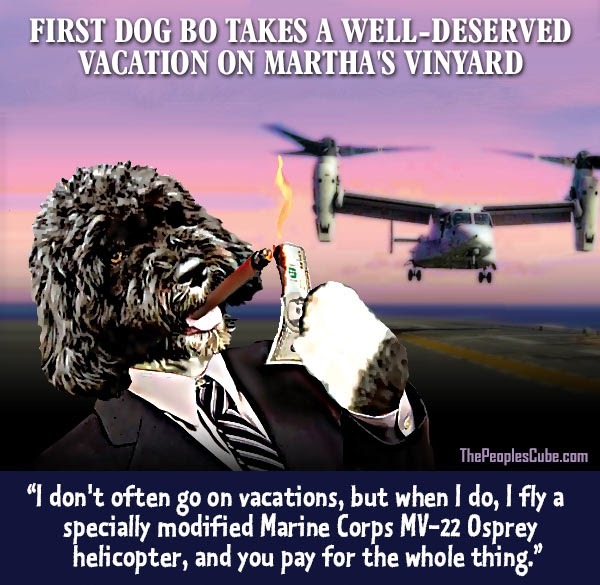 Rest well America, now that you know that Bo, the first Dog, has arrived safe aboard his own MV-22 Osprey flight to Martha’s Vineyard. That is correct, Bo is taking a vacation that most Americans can only dream of. He is ready to frolic on the sandy, non-diverse beaches of Martha’s Vineyard. Play golf and ride his bike, although I am not sure how he folds the putter with paws. This is the visual image that is presented from this elitist president and the first family. But that’s OK, because he is BO and you are not. Who finds it offensive that the First Family has no budget, no skin in the game, does not sacrifice, but yet these are the things that are asked of us by Barack Obama? Obviously presidents take vacations, but this one sticks it in America’s face as so many of “We the People” struggle to gain full time employment and a record number of Americans are on food stamps. But it is all fine for Barack Obama, the first family and BO to take such a lavish vacation because it is on the tax payers dime. This president Bo has some gall to actually portray himself as for the working American people when all he does is live “life styles of the rich and famous”. The American Thinker has it 100% correct, “My problem is a ‘tone deaf’ administration who does not understand that moving BO around at taxpayers’ expense is a bit too much when we are blaming the “sequester” for government services. How can this president keep a straight face and talk about sequestration and government cuts in spending and then take a vacation like this to The Vineyard? Some fantastic sarcasm from The People’s Blog. However, sadly, like all great sarcasm, so much of it is based upon the truth. Americans can go to bed with a story to warm the cockles of their hearts tonight. 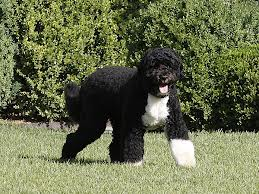 First Dog Bo has been successfully transported to join the First Family on their well-deserved vacation on Martha’s Vineyard. Bo was transported from Washington to the island on board a specially modified Marine Corps MV-22 Osprey. For security reasons similar to those of Vice President Joe Biden, President Obama and First Dog Bo cannot travel on the same aircraft, thus making a separate flight necessary. While some might consider using a $69.3 million aircraft to transport a dog a bit extravagant, it must be pointed out that this was paid for with taxpayer money, not from the First Family’s accounts. Neither President nor Mrs. Obama are spendthrifts and are very careful with the family’s budget. It is important that Bo accompany the First Family on this vacation, which the President surely deserves after all the hard work he has put in over the past few days. The president recently returned from a tortuous tour of speech-making, some of which were delivered in benighted flyover places like Tennessee. How would would the MSM act if a Republican president was going on such lavish and posh vacations at such extravagant expenses as the people suffered? I think you all know the answer. The Community Agitator strikes again: Obama says, sequester, what sequester … let them eat kibble. If the current occupant of the White House was a Republican and any other Democrat but Barack Obama, they MSM would be going mental that how dare a president during such economic hard times, record number of Americans on food stamps, only jobs being created are part time ones, scandals abound and the Middle East is on fire. But not so when it’s Barack Obama. Instead, an individual who has done nothing to be rewarded with a vacation winds up taking one at the tax payers expense as even Bo gets his own MV-22 Osprey flight to Martha’s Vineyard. Just yet another example under the Obama administration of your hard earned tax dollars at work. How come we have Congressional hearings over wasteful IRS spending on conventions, but not this? Bo, the president’s Portuguese Water Dog, arrived separately on one of two MV-22 Ospreys, a hybrid aircraft which takes off like a helicopter but flies like a plane. It was the first time the Ospreys have been taken on holiday by a US president. More than 70 hotel rooms, each costing up to $345 (£220) a night, have been booked out for Secret Service agents, who took charge of luggage including two large mesh bags full of basketballs. So we have no money for children to take White House tours, And let’s not forget from Obama’s per-vacation speech where Barack Obama played the Chicago-style politics, divisive card, fear card where he said that veterans may lose their benefits because of sequestration. Remind you two things. One, no money for veteran benefits, but Obama can piss away million on his vacations to Martha’s Vineyard. Two, it was Obama who came up with the notion of sequestration in the first place. This president is still playing the blame game when it was Obama who dreamed up the idea of sequestration in the first place. Really? Hey Barack, those reckless budget cuts were your idea! Oh yea, and not only do we not have $’s for Vet benefits under this president, as reported at Israel Matzav, ‘Oh my: Hussein Obama giving Syrians $195 million for Eid al-Fitr’. And the hits keep on coming from the IRS. 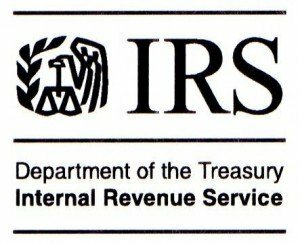 According to Sen. Chuck Grassley of Iowa the IRS is about to pay $70 million in employee bonuses despite an Obama administration directive to cancel discretionary bonuses because of automatic spending cuts enacted this year. Sequestration has caused many government agencies and departments to furlough employees, but not the IRS, they get bonuses. Of course this probably has nothing to do with the fact that the IRS is in charge of enforcing Obamacare and they get special treatment. Of course this bonus payout comes in the wake of the IRS targeting scandal of conservative organizations and the lavish, out of control wasteful spending of tax payer dollars on conventions where they seemed to have lost the receipts. The Internal Revenue Service is about to pay $70 million in employee bonuses despite an Obama administration directive to cancel discretionary bonuses because of automatic spending cuts enacted this year, according to a GOP senator. Sen. Chuck Grassley of Iowa says his office has learned that the IRS is executing an agreement with the employees’ union on Wednesday to pay the bonuses. Grassley says the bonuses should be canceled under an April directive from the White House budget office. The directive was written by Danny Werfel, a former budget official who has since been appointed acting IRS commissioner. The IRS said it is negotiating with the union over the matter but did not dispute Grassley’s claim that the bonuses are imminent. It is safe to say that Barack Obama’s sequestration, attempt to back the GOP in a corner and cave to his tax hike demands and blame Republicans for sequestration has been a total failure. So much so that Obama is seen as miffed that Congress acted in a bi-partisan manner. Finally there has been bi-partisanship in Washington, DC and President Obama is upset about it. 202 Republicans and 159 Democrats voted for the plan to prevent flight delays at US airports across the country so not to cause an undo burden on the American people. However, Obama is none too please as obvious he was willing to cause more pain and suffering on ‘We the People” as opposed to a right thinking and common sense approach by an overwhelming majority of both Republicans and Democrats in the House and Senate. But as Bill Shuster (R-PA), the Republican chairman of the House Transportation and Infrastructure Committee, stated the Obama administration purposely wanted to inflict pain on the public through flight delays. It is safe to say that Obama does not want to govern this country, he wants to cause constant dissention, division and agitation. That is what this president is about, to create constant bickering among the people and even gets upset when both the Democrats and republicans come together to pass a fix to flight delays caused by his sequestration. “There are some in the Obama administration who thought inflicting pain on the public would give the president more leverage to avoid making necessary spending cuts, and to impose more tax hikes on the American people,” Rep. Bill Shuster (R-Pa.) said during the Republican weekly address. The Federal Aviation Administration (FAA) began furloughing employees this week, including air traffic controllers, as a part of automatic budget cuts required by the sequester. The furloughs resulted in long flight delays for passengers across the country. The White House said the law forced the FAA to furlough the employees, but Shuster argued the administration had more flexibility. As reports at Yahoo News, Obama stated that he would sign the bill, but it is an “irresponsible way to govern”. No sir, your actions as president have been a prime example of an irresponsible way to govern. In fact, if this president actually acted like a leader and did something that was in the countries best interest, it would be a miracle. TPM says, Dems Cave On FAA Sequestration Cuts, Flight Delays . Why don’t we call it that Democrats did not want to see the public suffer just to make political points? Too bad Barack Obama did not have the same common sense and convictions. 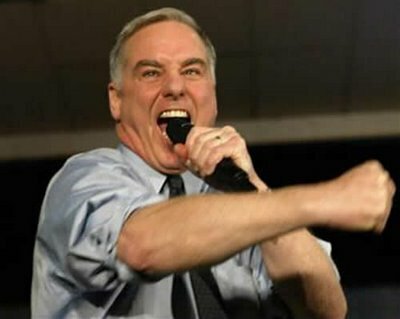 By agreeing to provide special treatment to air travelers, Democrats eliminated a major source of public pressure to address sequestration in its entirety, and created a precedent that sequestration’s consequences ought to be addressed by moving funds around — not by raising the revenue, which is fiercely opposed by Republicans. The legislation leaves in place sequestration’s domestic spending cuts, which disproportionately impact the poor, and its defense cuts which have significantly reduced government purchases. In a memo to House Republicans Friday, Majority Leader Eric Cantor basked in victory. Barack Obama is undoubtedly the worst US president of modern times. This is truly priceless coming from the Obama administration who has pissed away more tax payer dollars on picking winner and losers of “green” energy companies. Actually, they have pretty much only picked losers. As reported at CNN, President Barack Obama and some Capitol Hill Democrats complained that Washington was now unwisely picking winners and losers after congressional inaction on deficit reduction earlier this year triggered $85 billion in government-wide spending cuts.